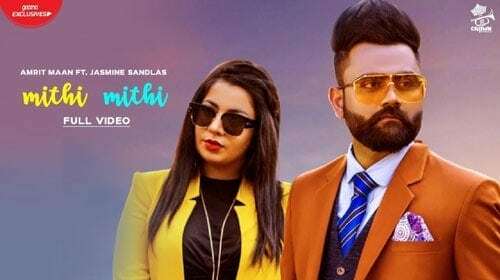 Mithi Mithi Lyrics is from the latest Punjabi song sung by Amrit Maan feat Jasmine Sandlas. This song has been composed by Intense and the lyrics has been penned by Amrit Maan himself. Dilsher Singh & Khushpal Singh have directed the music video of this song. Listen to Mithi Mithi Audio Song on Gaana.